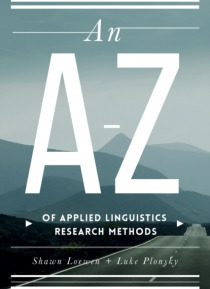 Featuring an extensive set of entries covering all aspects of research methodology, ranging from basic to more advanced topics, this is an essential reference for applied linguists everywhere. Explanations of key concepts and techniques are fully cross-referenced and presented in bite-sized chunks, making it easy for users to look up specific terms quickly or have a brief refresher on methodologic… al practices and related issues. Concepts are further illustrated by real-life examples drawn from current linguistics research. This is ideal for undergraduate and postgraduate students studying applied linguistics or TESOL modules.